Different websites have unique requirements and therefore, need various features to be added for their successful delivery. However, regardless of a website's requirements, one feature that is pivotal to the success of the websites is that it must be mobile friendly and exhibit responsive design support. These days, with the introduction of Stratospheric in the mobile devices, a website owner often does himself a huge loss if his website has not been made responsive and does not adjust to the mobile device. To enable your visitors easily browse and find information regardless of the device they are using, it is essential that your business website is mobile friendly and responsive. It improves the way your website looks on devices with both small and large screens and elevates the time visitors spend on your website. 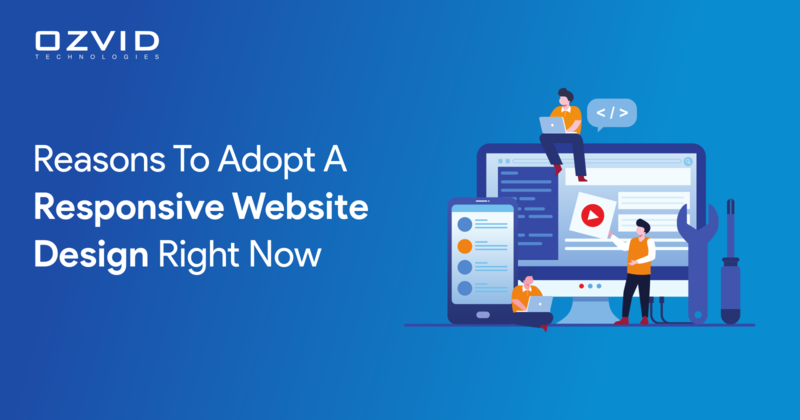 In this article, we would be highlighting several benefits of investing in a responsive website design for your business. Supports Multi-Device User: Customers visit the websites at different times using various devices and to best support their experience, our website must perform flawlessly regardless of which device they are using. Make sure that the information is consistent across all the devices with a layout and experience to suit customers' screen size which will prevent your customers from abandoning your website. Offers Seamless User Experience: Normal websites usually distort the way websites appear on mobile devices. Texts are jumbled and images are not aligned which makes it troublesome for the users to browse the website seamlessly. Therefore, developing a responsive website will have benefits that will outweigh the expenditure done at the beginning. Increases Mobile Traffic: A report from SimilarWeb states that more than half of the traffic on top websites come from mobile devices. Hence, it is significant for a business to have websites that run properly on smaller screens of mobile and tablets as a huge number of visitors are accessing the website using their mobile devices. Boosts Mobile Shopping: 80% of people regularly shop online and 70% of online shoppers now use mobile phones for it. If your website cannot be accessed through mobile and your products as well as services are not easily viewed from a mobile device, your business is missing out on a huge opportunity. Cost Effective: Maintaining distinguish websites for mobile and desktop users can get expensive whereas responsive websites can save a huge amount of your money by eliminating the cost of other websites. You just require investing in a single website design to appeal all visitors on all the devices. ​​​​​​Easily Manageable: It's not easy to manage a single website and trying to keep several websites up to date, relevant and consistent is a more troublesome task to be done. Therefore, a single responsive website is much more preferred over separate websites for different devices. Summing up, having a responsive website for your business can save you lots of maintenance time, money and also assists you to convert and retain more clients in a long run. Hire professional responsive web design services for your business to build mobile-friendly websites that will benefit from a display working great across different screen sizes and various devices.